Published: Nov. 2, 2014 at 09:40 p.m.
Balitmore Ravens quarterback Joe Flacco throws an interception to Pittsburgh Steelers linebacker Jason Worilds. Published: Sept. 21, 2014 at 10:23 p.m.
Carolina Panthers quarterback Cam Newton's fumble is recovered by Pittsburgh Steelers linebacker Jason Worilds. Published: Dec. 8, 2011 at 11:01 p.m.
(:07) (Shotgun) C.McCoy sacked at PIT 39 for -6 yards (J.Worilds). Published: Nov. 8, 2010 at 09:35 p.m.
J.Reed kicks 63 yards from PIT 30 to CIN 7. B.Scott to CIN 25 for 18 yards (E.Sanders). 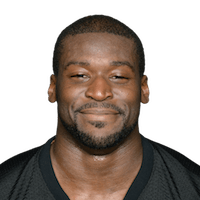 FUMBLES (E.Sanders), RECOVERED by PIT-J.Worilds at CIN 25. J.Worilds to CIN 25 for no gain (R.Kelly).